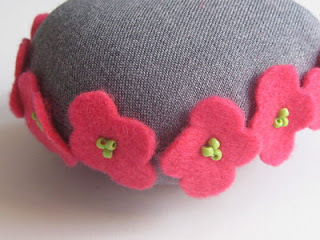 Did you sign up to the pin cushion swap on the Foxs Lane blog? I did and even managed to finish it in time and post it on time too! I hope they liked it, I'm not really a sewing master, but I gave it the best shot that I could because the instructions were to make a pin cushion that our swap partner would love (from looking at their blog), so I certainly hope they appreciate the effort! I can't wait to receive mine! I'm checking my post box every day! 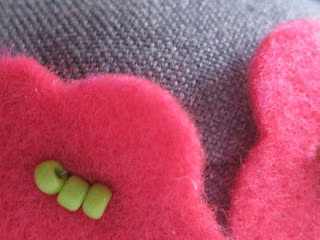 BTW, I didn't upload the photo to the Pinnie's Flickr page... cos I've forgotten my Flickr password! LOVE it! its gorgeous and your partner will love it. I hope you get yours soon. Thanks so much for playing.